All beauty has also its thorns. This interpretation of the Tatino pouf by Enrico Baleri & Denis Santachiara, the Tattoo Cactus, couldn’t be described in a more accurate way. But don’t worry, you won’t be spiked. The Cactus print by Maurizio Galante and Tal Lancman is completely harmless and gives an unusual, very individual hint to the Tattoo from Baleri Italia. The Baleri Tattoo can be used as a stool or footrest as well thanks to its height. But also used as a simple decorative element it won’t lose its effect, as the print appears three-dimensional thanks to the special bi-elastic textile material. 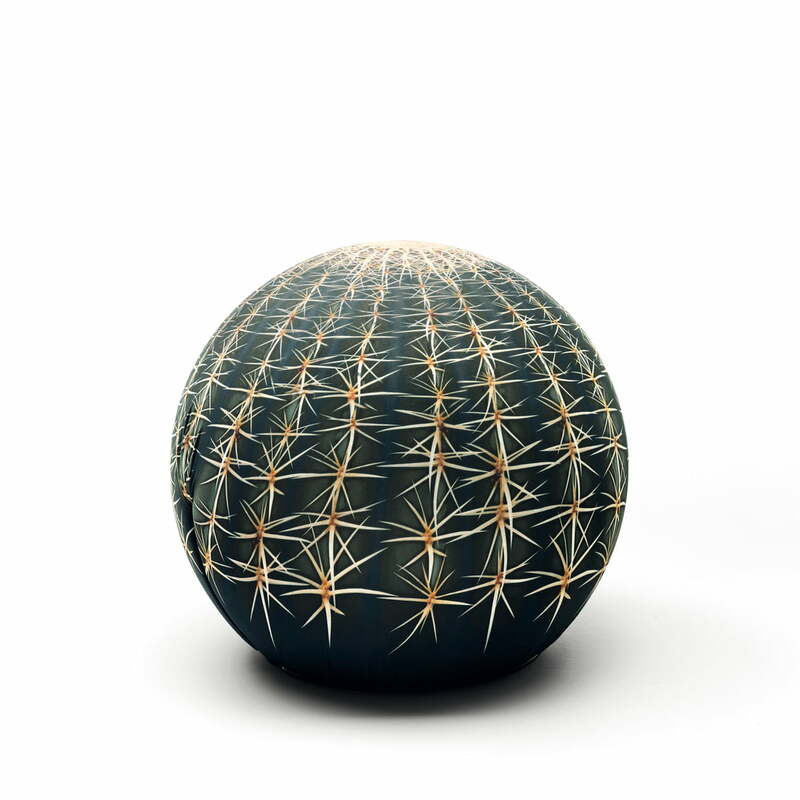 Subdued shapes ensure unusual ergonomics: the spherical cactus footrest by Baleri Italia is made of FCKW-free polyurethane with a soft and mouldable layer below and with a firm interior structure of plastic, which supports the body perfectly, offering enough resistance so that you can remain comfortably on it. 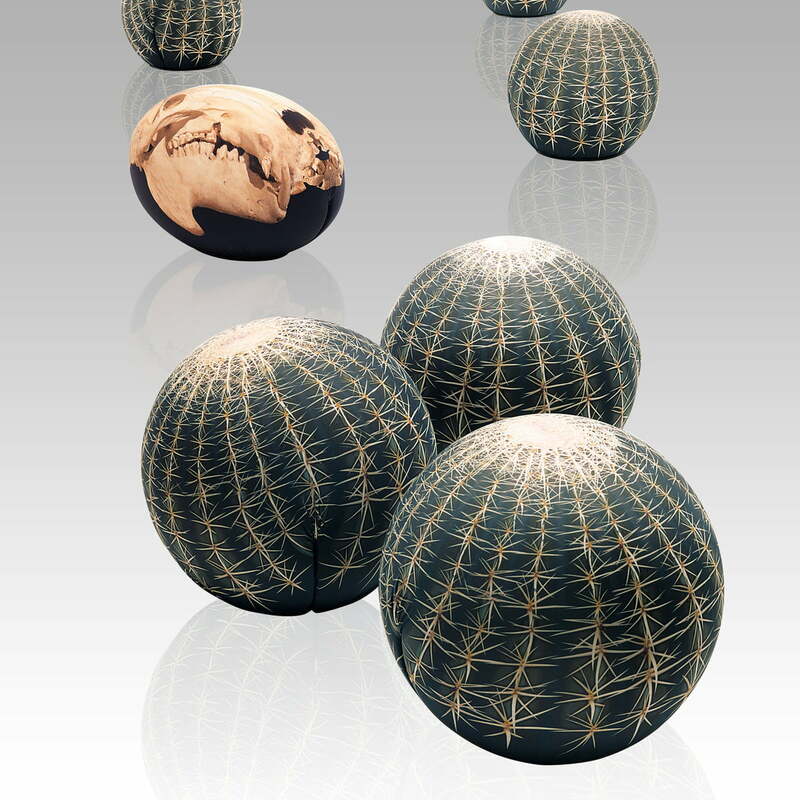 Different prints ensure a suitable Tattoo pouf for everyone. The Baleri Italia Tattoo is also available in an egg-shaped edition based on the Tato egg seat, with different designs as well on demand.